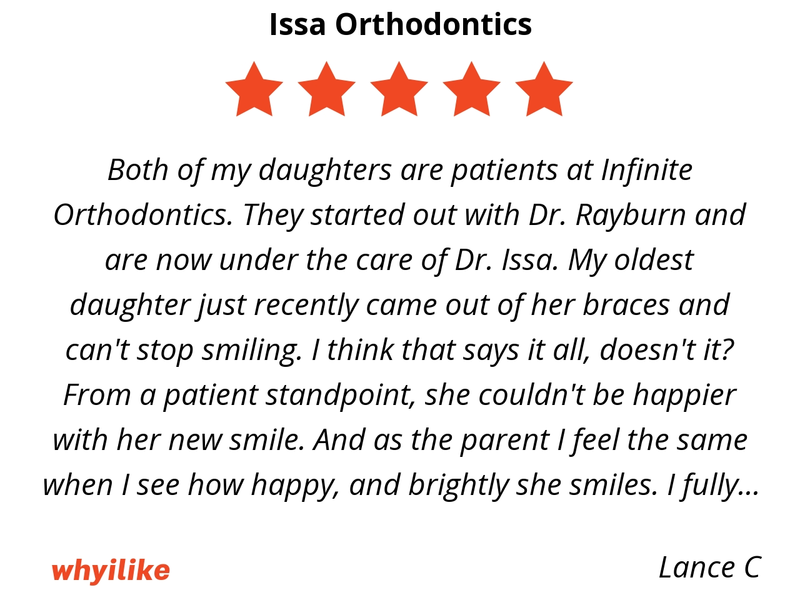 Both of my daughters are patients at Infinite Orthodontics. They started out with Dr. Rayburn and are now under the care of Dr. Issa. My oldest daughter just recently came out of her braces and can't stop smiling. I think that says it all, doesn't it? From a patient standpoint, she couldn't be happier with her new smile. And as the parent I feel the same when I see how happy, and brightly she smiles. I fully expect the same results for my youngest daughter. 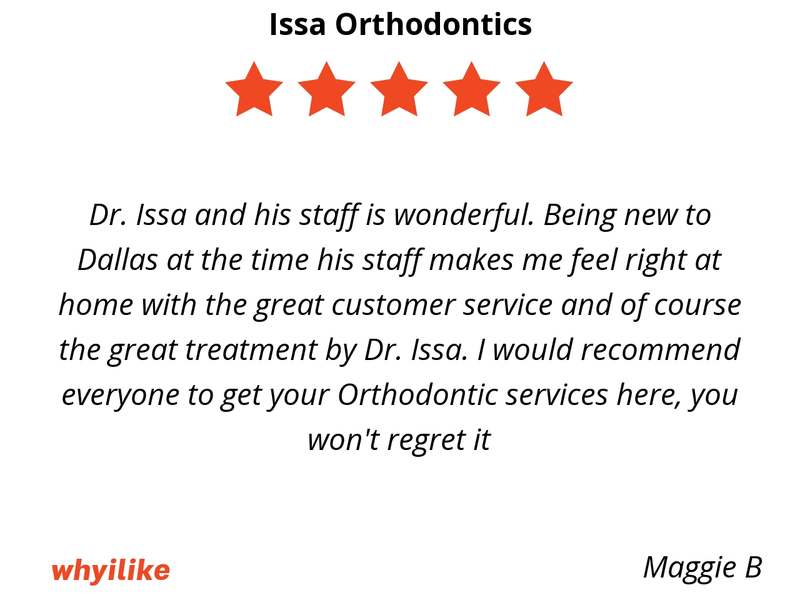 As a patient of Dr. Issa for a couple years now, I look forward to every appointment. His positive attitude and friendliness make visits quick and easy. Everyone else is also very kind and friendly. Very quality dental work from everyone here. Would highly recommend! 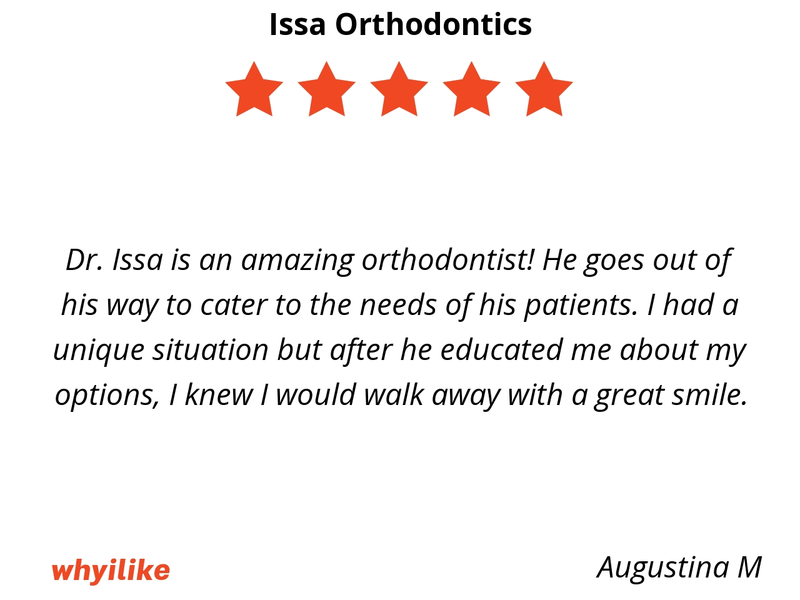 Dr. Issa is an amazing orthodontist! He goes out of his way to cater to the needs of his patients. I had a unique situation but after he educated me about my options, I knew I would walk away with a great smile. 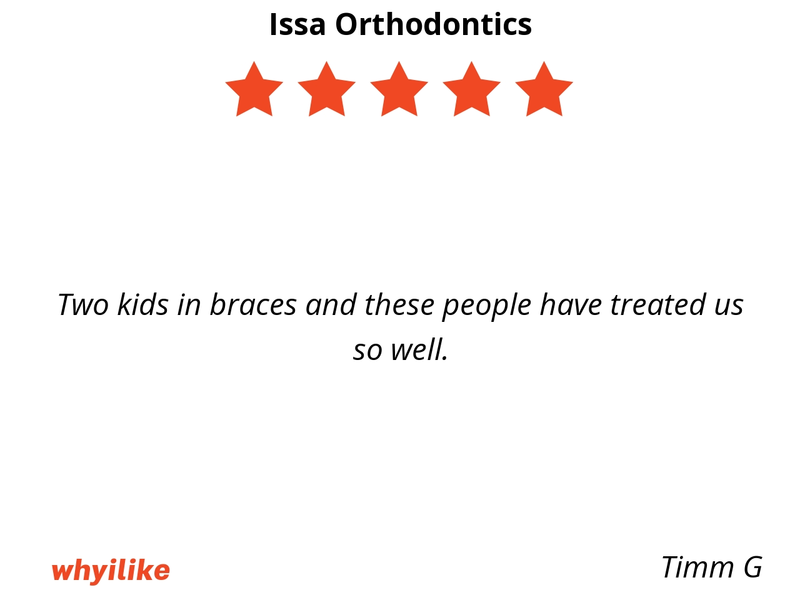 Issa Orthodontics had amazing staff and also amazing work place. 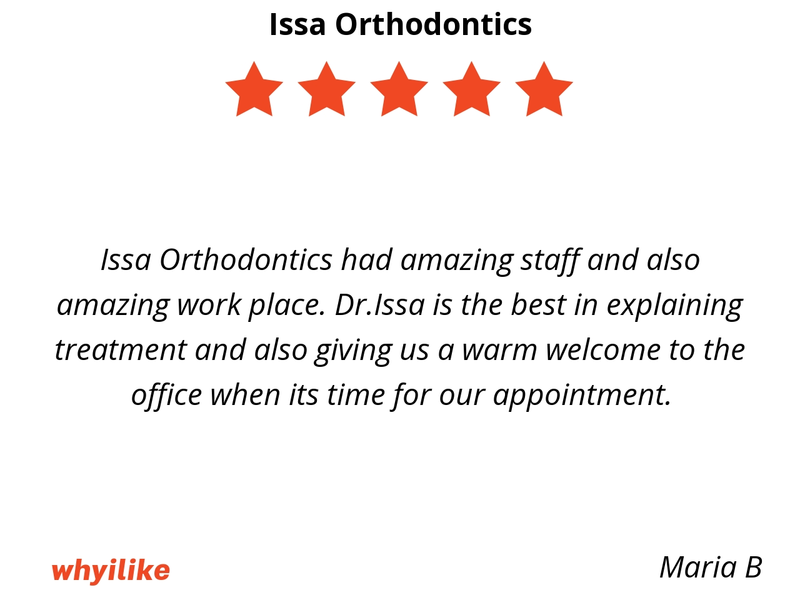 Dr.Issa is the best in explaining treatment and also giving us a warm welcome to the office when its time for our appointment. 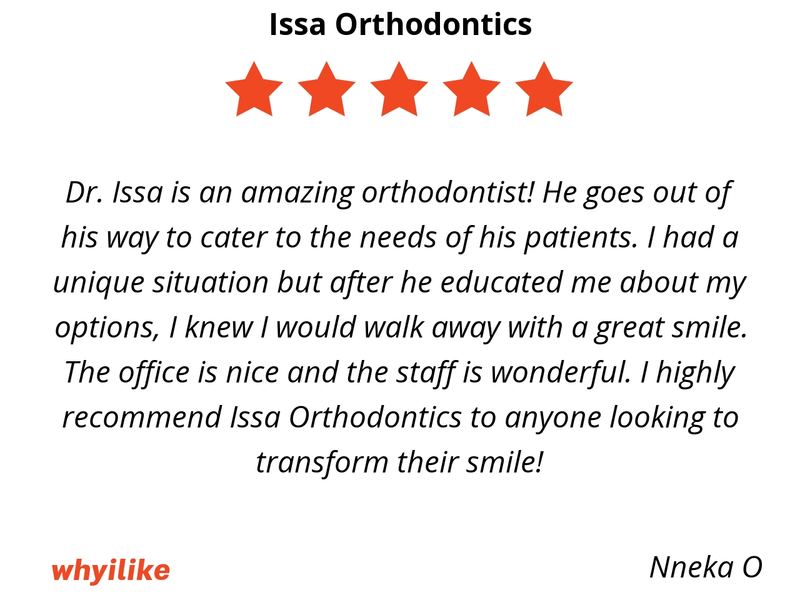 Dr. Issa is an amazing orthodontist! He goes out of his way to cater to the needs of his patients. I had a unique situation but after he educated me about my options, I knew I would walk away with a great smile. The office is nice and the staff is wonderful. 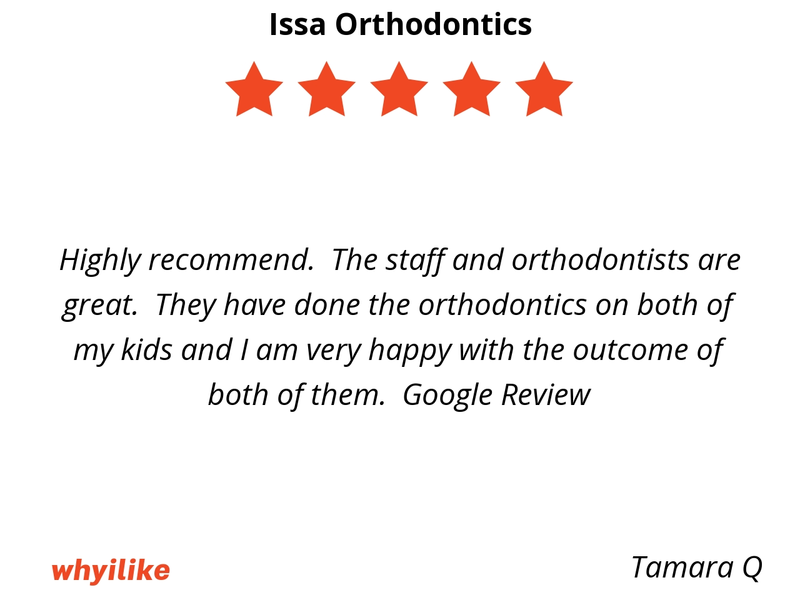 I highly recommend Issa Orthodontics to anyone looking to transform their smile! Two kids in braces and these people have treated us so well. 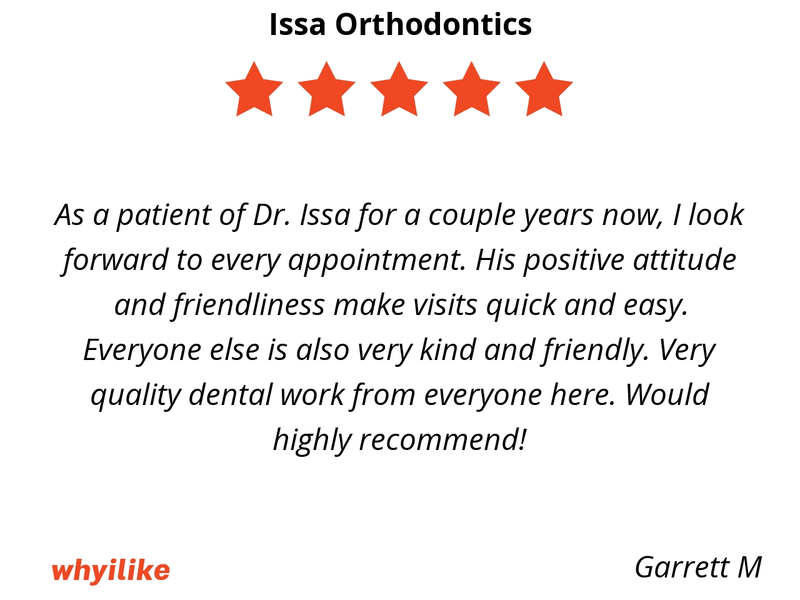 Dr. Issa is fabulous! He has a true desire to help others. He is very personable and works hard ton o make his patients comfortable. 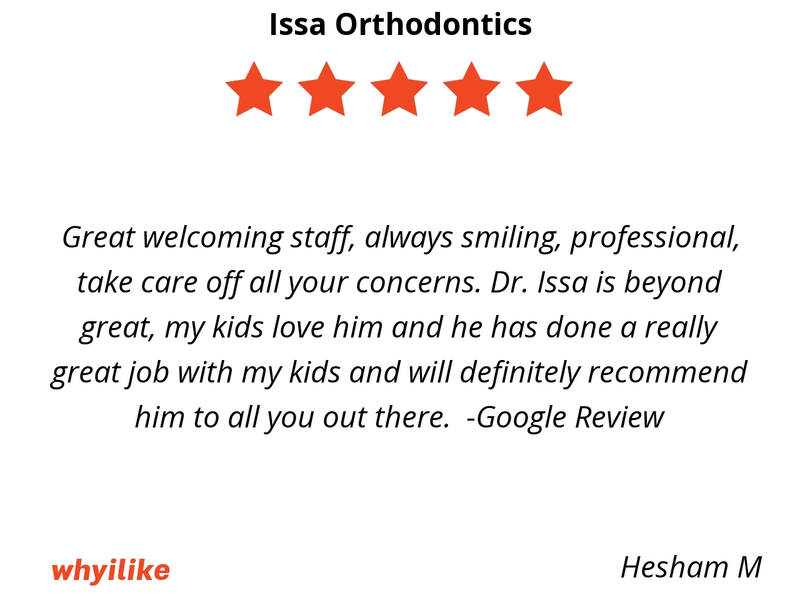 Dr. Issa is detail oriented and communicates the options you have clearly and effectively. When I go to his office I know that he will always take good care of me. 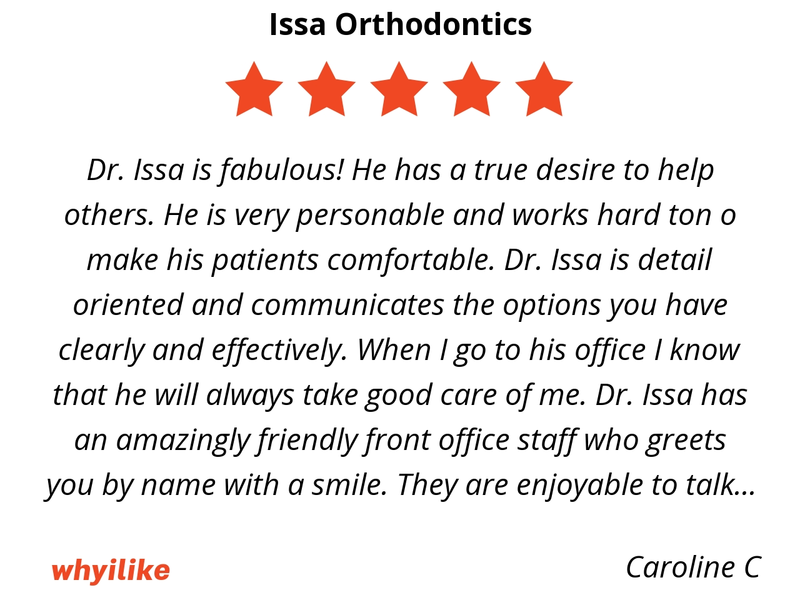 Dr. Issa has an amazingly friendly front office staff who greets you by name with a smile. They are enjoyable to talk to and make the process very easy.